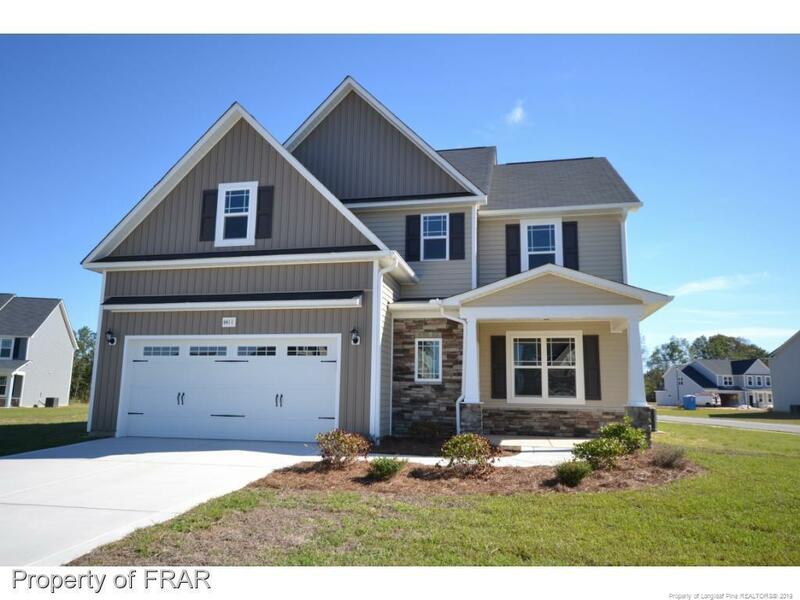 Amazing brand new home w/over 3,000 sqft! The perfect open floor plan with large family room with fireplace that is open to the kitchen w/granite counters & pantry. Sunroom is off the kitchen w/access to the covered back patio. Formal dining rm with coffered ceiling. Laundry & all bedrooms upstairs with lots of closet space. Large master w/trey ceiling & sitting area, glamour bath & huge WIC. 1 of the 4 Guest BR's has it's own private full bath. Privacy Fence is already installed! Located minutes to Hope Mills Park, library & shopping.